es ärgert mich sehr das rumble die nerfkeule bekommt! Wurde der Geforce 8800 GT Bug endlich behoben? Seit knapp 2 Monaten ist es für mich unmöglich Ranked zu spielen und in normal Games nervt es langsam auch, wenn man deshalb verliert. 5uhr morgens oder mittags ? Türmebuff finde ich nicht so schlimm, aber es ändert nichts daran, dass man unter dem Turm alles andere als sicher ist vor Nidalee's Speer. Gott wie ich den Champ hasse..., bzw ich komme nicht damit klar gegen sie zu spielen. Udyr habe ich noch nicht gespielt, die Änderungen klingen aber etwas seltsam. Karma klingt ganz cool, im Earlygame dürfte wohl der Slow vom Q ganz nett sein und im Late dann der "Sunfirecape"-Schild. When any player in a match-made game fails to select a champion before their timer expires, the game is terminated. 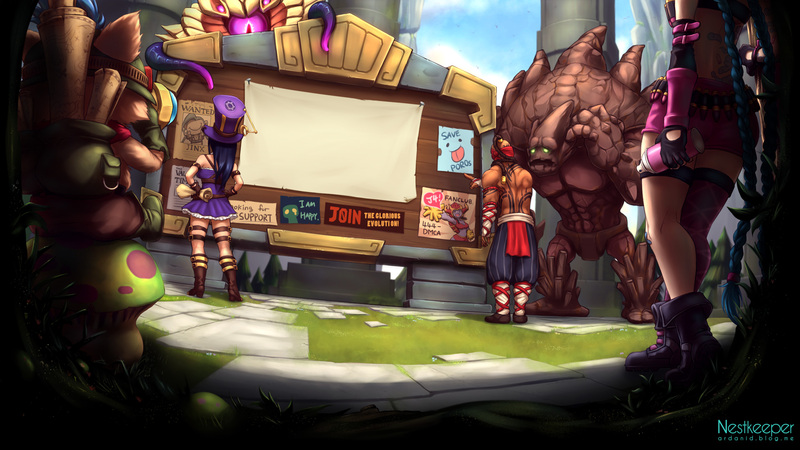 A player who fails to select a champion is given a queue dodge penalty. The dodge penalty functions exactly the same as if the player closed their PVP.net client. Solo players who succeed in selecting a champion are returned to the front of the matchmaking queue. Arranged teams whose members all succeed in selecting a champion are returned to the front of the matchmaking queue. 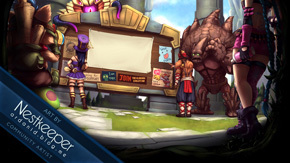 Arranged teams with one or more members who fail to select a champion are returned to the arranged team lobby. Draft mode is handled on a pick-by-pick basis. If a player fails to pick a champion during their turn, the game is terminated immediately. Players later in the draft order, who did not have an opportunity to pick a champion, are given the benefit of the doubt and not assigned a dodge penalty. This feature currently only applies to match made games. Custom games still assign a random champion if one is not selected. Akalis Tarnung wird anstatt zu dem Zeitpunkt, zu dem sie Schaden verursacht, nun sofort aufgehoben, sobald sie eine Fähigkeit ausführt oder mit einem Angriff beginnt.